Everyday is a great day to send a sincere love message to your wife and make her feel unique and special! Dig deep into your heart and find the most touching true love words to share with her. If you find it difficult to compose one, browse below many special and sincere romantic messages for your wife and send her the one that will talk straight to her heart! 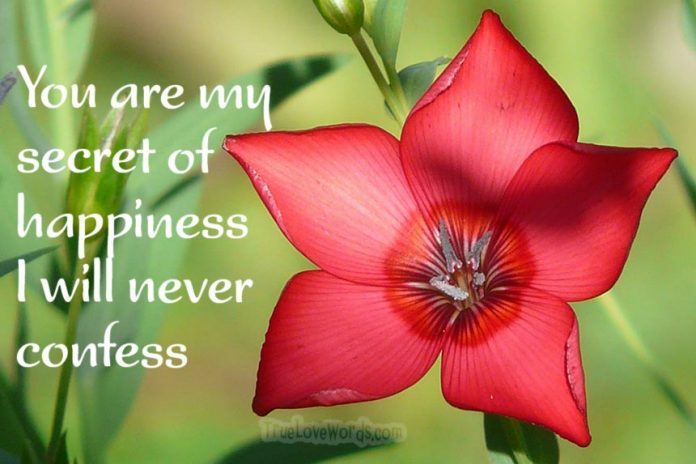 ♥ My wife, you are my secret of happiness and success I will never confess. ♥ You are the woman I dreamed of. The Woman who made our beautiful family a reality. The Woman that gave meaning into my life! ♥ You can make the clouds go away and paint the sky with the brightest colors of our love! ♥ I found my life’s true meaning because of you, since the day you married me. I love you my beautiful wife! ♥ You’ve made our house, our home and turned our relationship into a beautiful family! ♥ From the first day that I met you, I had this feeling for us. The feeling of peace and happiness for our common life. ♥ When I look into your eyes, I still have these feelings of impatience and admiration both at the same time. ♥ You are my motivation to keep on going and the reason of everything good that happens in my life! My wife, you are the best gift for me! ♥ My love for you is endless and I will always be thankful to you for all the things you’ve done for our family! ♥ After all these years of our marriage, we are still building on our relationship, something that everyone is jealous of. I love you dear! ♥ After all these years of marriage, I surely know that you are the only one woman I want to grow old with. Our love will keep us together until death comes between us. ♥ When I see your smile, I realize the reason of still being crazy in love with you, my dear wife! ♥ As the years go by, our marriage is becoming more and more stronger through the good and bad times. Thank you for always being by my side and I promise that I will always be by yours! ♥ I love you more than anything in my life. You are the rose that makes my life beautiful! ♥ I swear that I will never let you go no matter what you do. I will be always there for you when you need me and support you in everything you want! ♥ Being your husband is an honor for me and I’m so proud to have a wife just like you! ♥ It’s not easy to describe my feelings to the woman who gives everyday the toughest fight to keep our family close together. I love you and I will always do! ♥ You are my inspiration, the reason to keep on fighting and never give up! I Love you my beautiful wife! ♥ Loving you all these years is the air that keeps me breathing and the perfume that makes my life beautiful! ♥ You are the most rare and beautiful flower on this planet and I’m the luckiest man who have you in my arms. My love for you, my wife, will always shine bright! ♥ I secretly pray to God for you and our kids. My worst fear is losing any of you! I love every little part of you and our family! 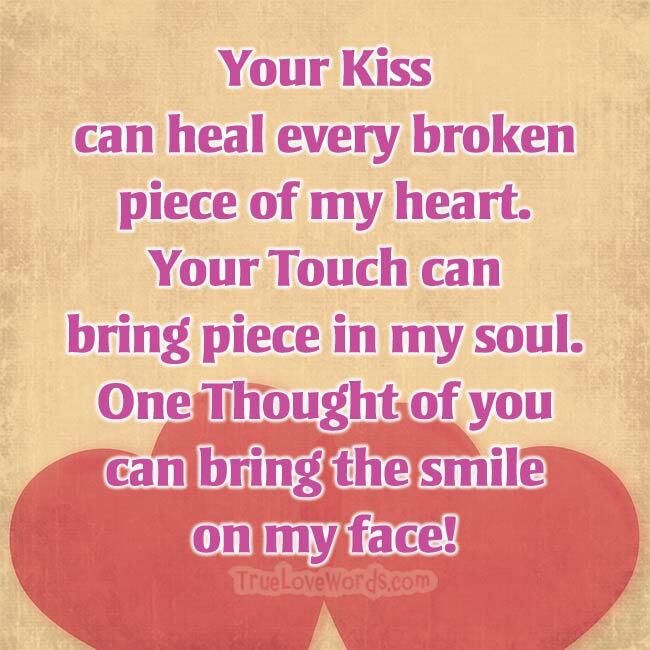 ♥ Your kiss from can heal every broken piece of my heart. Your touch can bring piece in my soul. One thought of you can make me smile! ♥ Your love is like a poison that runs through my veins. I love you woman of my life! ♥ I could never imagine myself being a father, not even a husband until the day you came into my life and became my wife the best mother for my children! Thank you! ♥ You cannot imagine how much you helped me becoming a better person and a good father and husband. You are my motivation to fight for it everyday! ♥ When I hold you in my arms I can still feel you heart beating fast, reminding me the times when we first met. This love we felt is still here and it will never fade! ♥ It’s very difficult for me to write a message of love to you. I just want you to know that you are everything for me. A wife I’m proud of! ♥ Loving you is like a sweet game. You try to surprise me and I try to keep you safe and warm in my arms. I love you! ♥ We made our marriage a quest of love through happy and sad moments. We managed to keep our flame of love still burning. I love you so much! 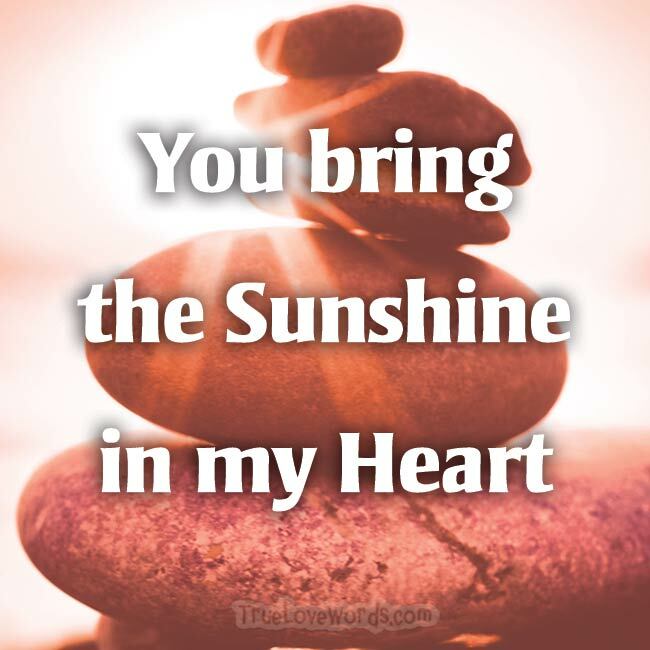 ♥ You made impossible seem so simple and you bring the sunshine in my heart! I am so thankful having a wife like you! ♥ Every time I think of you a smile appears on my face. You make any negative thoughts vanish in just a second! ♥ The road of life with a wife like you is like a roller coaster that I’m lucky to ride on. I send all my love to you my dear! ♥ You are the princess of my dreams and the woman I ever wanted to be my wife! I love you and I will always do! ♥ You show me your love in a way that brings me down to my knees. ♥ The most amazing thing with you, is that you still by my side supporting me in my every decision good or bad! I love you! ♥ 15 years ago I made the right choice. I married you, the woman who means everything to me. ♥ Looking at our children and I’m feeling so happy and proud of the woman who made all these come true! ♥ When I say Love, I mean you. When I say Happiness, I mean you. When I say Kindness I mean you! When I say “the best thing in my life” I mean you! ♥ I’m lucky to have such a sweet mother for my children and a wife who believes so much in our family! I love you dear!